Doctor Lock Locksmiths Doctor Lock Locksmiths is a family run locksmith business covering all areas of Castleford, offering a 24 hour emergency locksmith service to both residential and commercial customers. We are usually able to get to wherever you are in Castleford within an hour. Being a family run business we do not need to pay for costly call centres so you save money and actually speak to the locksmith who will do the work for you. We do not charge a call out fee and we do not charge VAT, making us one of the cheapest locksmiths in Castleford. Prices are always agreed before we start work so you will not get a shock at the bill. All of our work is fully guaranteed, we are fully insured and have been CRB checked so you can trust us to carry out any job to your complete satisfaction. Most jobs can be completed on the first visit as we carry a comprehensive range of parts on the van. All types of locks opened, repaired, replaced. New locks to improve security or meet insurance standards. Anti snap / snap safe and anti bump cylinders for UPVC door locks. Window, patio door, and garage door locks. Repairs to UPVC doors and windows etc. 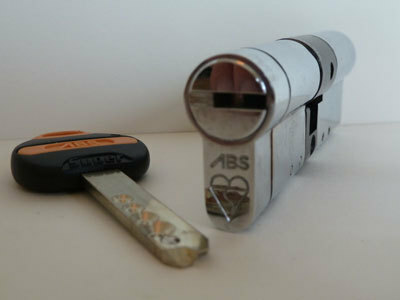 Lock snapping is the latest method used by burglars as it is quick and easy and needs no special tools. This technique is commonly used by burglars in the Castleford area. 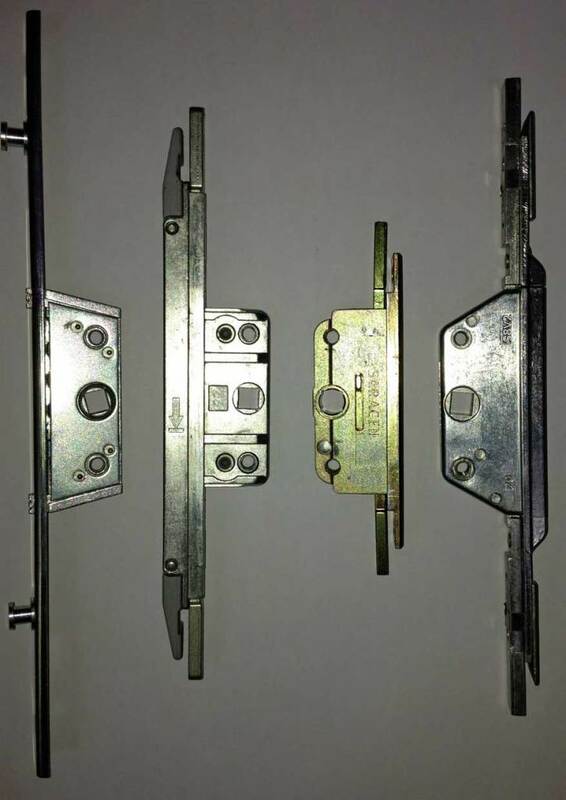 If you have a UPVC or composite door then the Euro cylinder (see picture on right) that locks the door has a weakness that allows it to be easily broken with freely available tools and little skill. These locks are also sometimes fitted to timber doors. The whole process takes less than one minute and makes very little noise. Once this has been done the thief simply unlocks the door and opens it using the handle. It does not matter how many hooks, bolts etc. are on your lock once the thief snaps the lock they are useless. Police in West Yorkshire have released figures showing that lock snapping is by far the most common method used by burglars. ere is what happens when a lock is snapped. You can see how the broken pieces can be removed from the door allowing it to be unlocked and opened very easily. You can prevent this happening to you by having a locksmith fit high security anti snap or snap safe locks to your UPVC or composite door in Castleford. The latest locks now provide a greater level of security than ever at a reasonable cost to the homeowner. 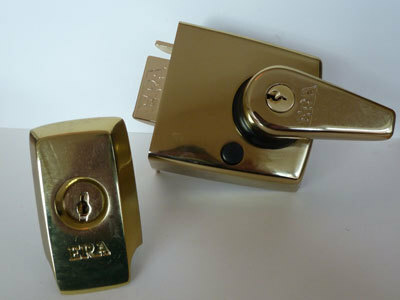 These locks are known as snap safe locks or anti snap locks. Anti snap locks are designed so that they cannot be snapped. Snap safe locks are designed to remain locked even if they are snapped. These locks are also resistant to picking, drilling and bumping. These locks all meet the relevant British Standard and are recommended by the police. 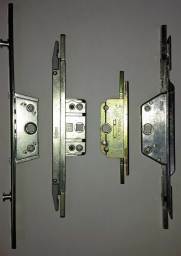 Below are some examples of the locks we supply.